Jelfin unveils dramatically different computer mouse: First-of-its kind, ball-shaped mouse with luxe, gel-cushioned cover for luxurious feel and superior ergonomics Jelfin has kept both eyes on the ball with the introduction of the world's first ball shaped, gel-cushioned mouse, the Jelfin Mouse. 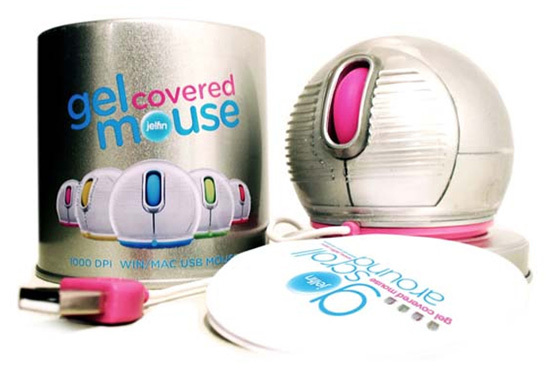 The cleverly designed ball-shaped Jelfin Mouse is ensconced in a soft, luxe gel covering that hugs the entire surface area and sets a new standard for comfort. Jelfin's intelligent new design fits perfectly the curvature of your hand, providing a more natural and comfortable feel than a traditionally shaped mouse. Mouse diameter 6.5 cm / 2.5" and height 5.6cm / 2.2"